MIDAS IS AN OVERALL TAILORMADE SOLUTION, SPEZIALISED TOWARDS ENERGY TRADING BUSINESSES AND THE MUTABLE ERNERGY MARKED. Midas secures profitability and creates process profits, so that resources are utilized where they create the most value. Midas provides the necessary overview of the value creation in the business. Midas secures the energy company's profit on every sale and makes it possible to control the market position. Contract profiles, prices and hedging needs automatic updates whenever changes occur, which provides a real-time overview of contract changes. Large supply of products that supports mutiple price curves and can be configurated to cover all needs. Midas visualizes and continuously updates sold positions, this minimizes the hedging risk. The traded amounts is being handled in their respective portfolios. Midas stores all relevant data which can be utilized by Midas' Business Intelligence. This creates visual reports that can help minimize the risk and optimize your business. Midas clearly contributed to the fact that SEAS-NVE maintained its competitiveness and position in the energy market. Midas has provided SEAS-NVE with efficient sale processes providing a daily overview of several sale channels and products with its hedging risk. 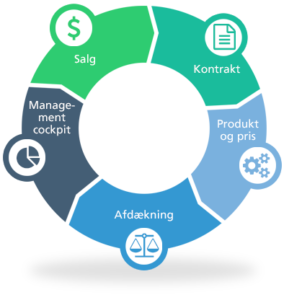 In 2012 SEAS-NVE implemented a new system - Midas, which we use to handle elektricity contracts. With this system, we have professionalized the electricity sales and purchase further, and it has given us a substantially better overview of the exposure within the eletricity marked. This minimizes the risk of loss while the system automates a part of the customer service, so that you - the customer - receives a quick and individual service. 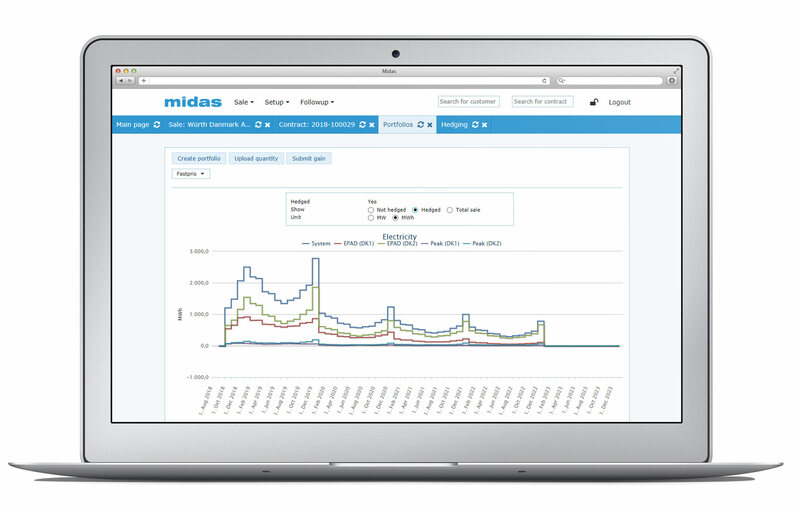 Midas supports many of the processes about pricing within the business marked.